— Our best friends tend to be people who share the same interests and passions we do. 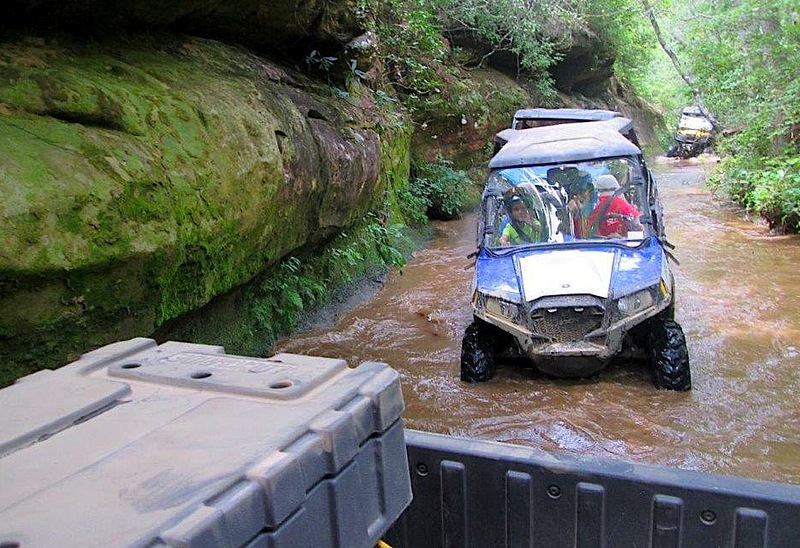 Anyone who loves UTVs can’t be all bad. In fact, they’re the kind of folks we enjoy hanging out with. This offers us the advantage of finding out about great riding spots we were unaware of. 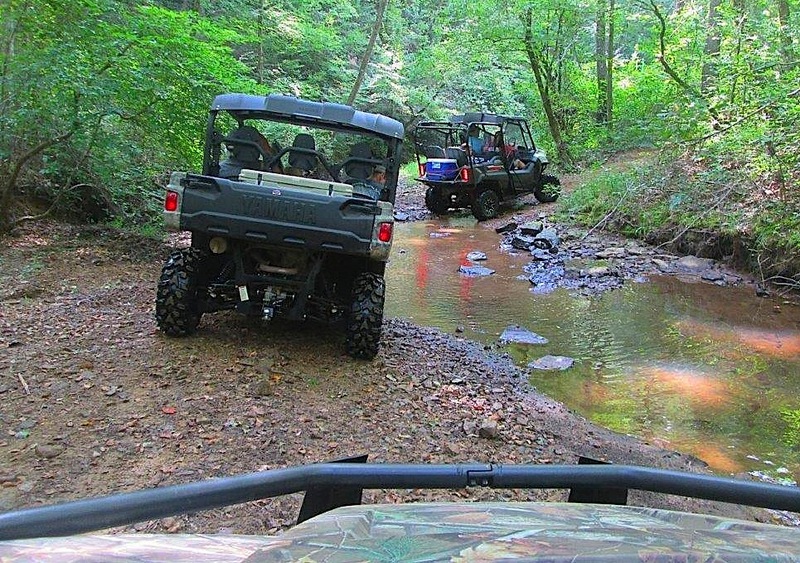 There’s nothing more fun than going on a group ride with members of a UTV club. 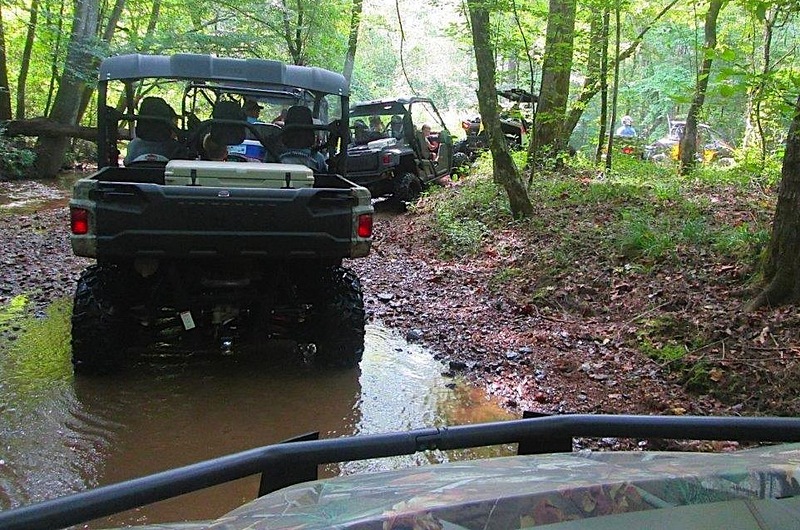 Down in Muscle Shoals, Alabama there’s a good club known as the Shoals ATV Riders. However, it seems that most of the members have switched from 4×4 quads to UTVs. They went on a ride recently and Butch Whitehead was good enough to email us some photos from that fun day. Let’s ride along and get a sense of what it was like. Basically, the guy leading the trail safari knows where to go and the rest just need to to follow. 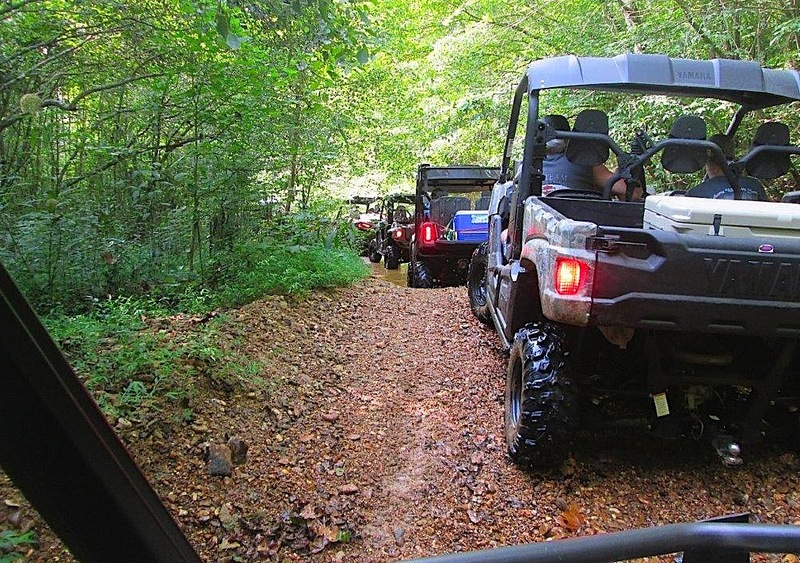 It takes away the pressure of navigation, but just don’t lose sight of that UTV in front of you. Part of the ride was like a jungle river cruise. The only thing missing were monkeys in the trees howling at you. There is no off-ramp on the expressway to get to this spot. 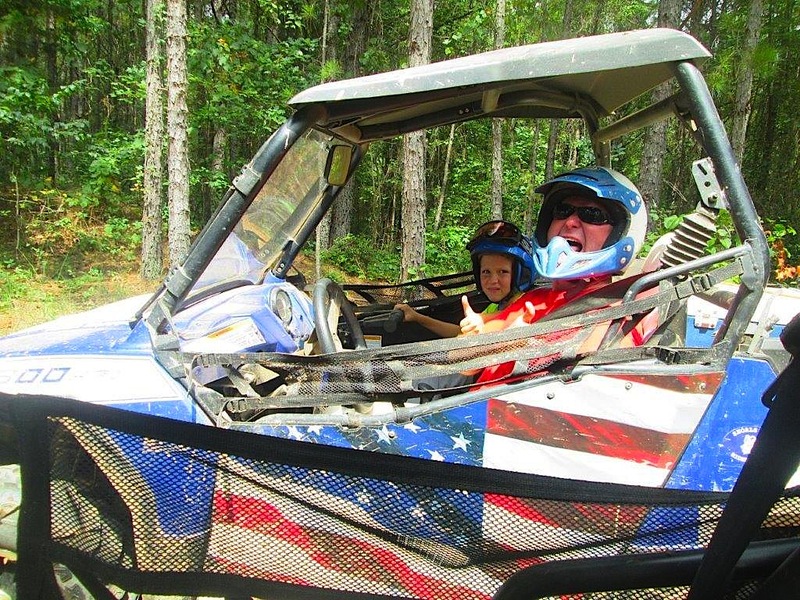 You have to be in a vehicle designed to handle the difficult backwoods terrain in the middle of nowhere. So, here is the awesome destination the club members were heading to. 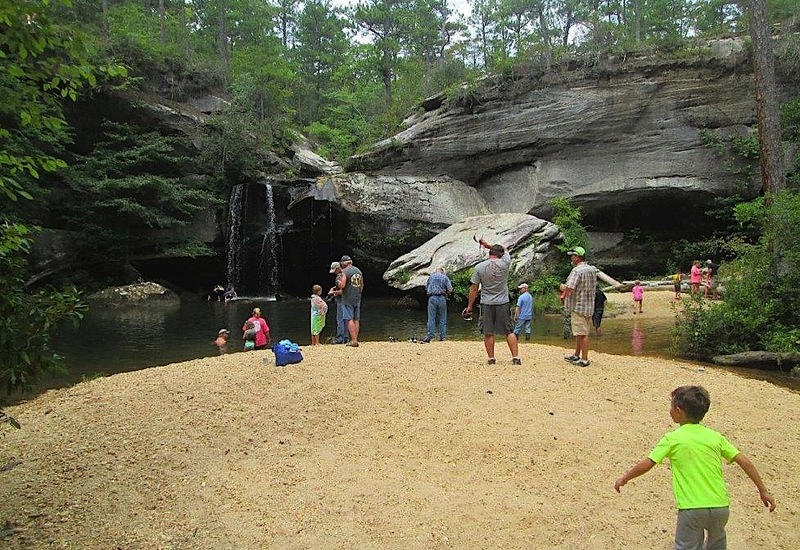 This spot is like an oasis with waterfalls and a great swimming hole. 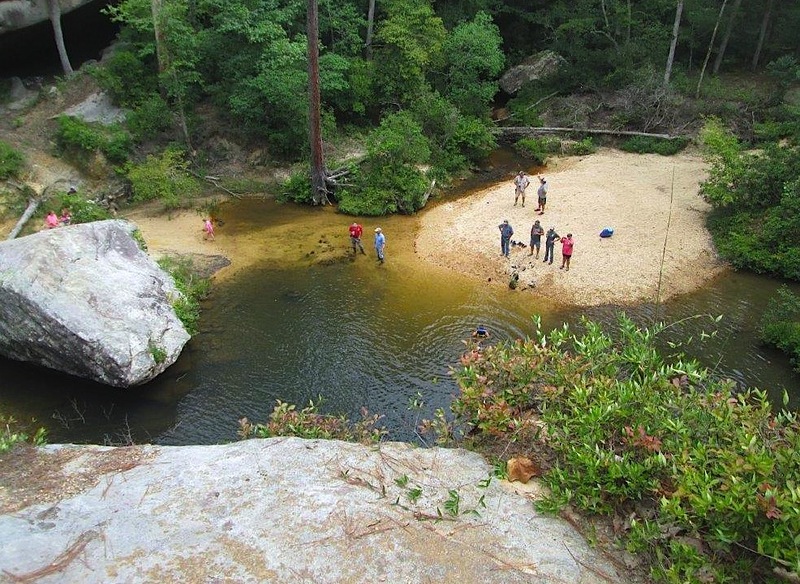 This was a great place to cool off on a hot summer day. Some barbecued food made things even better. 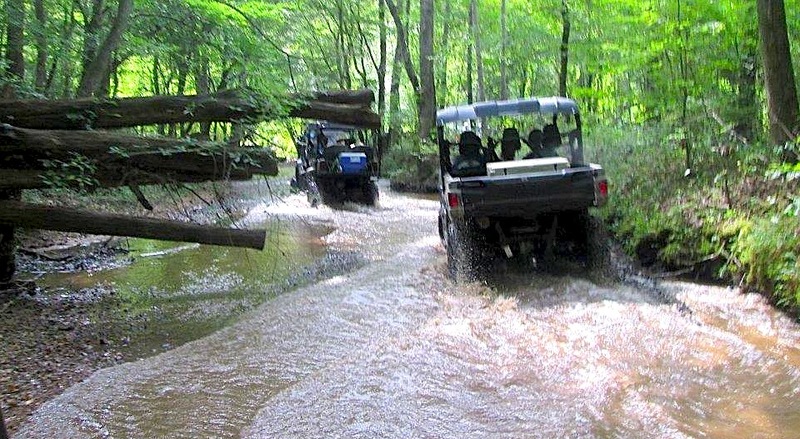 Certainly UTV paradise. There were many kids included in the ride too and everyone had a great time. 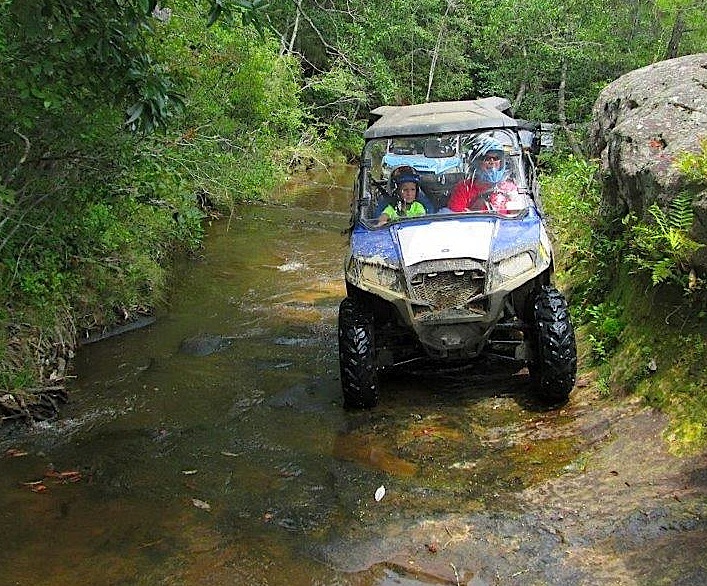 So, check out the UTV clubs in your area and think about becoming a member.